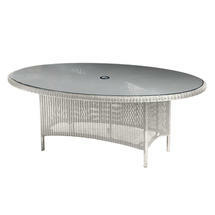 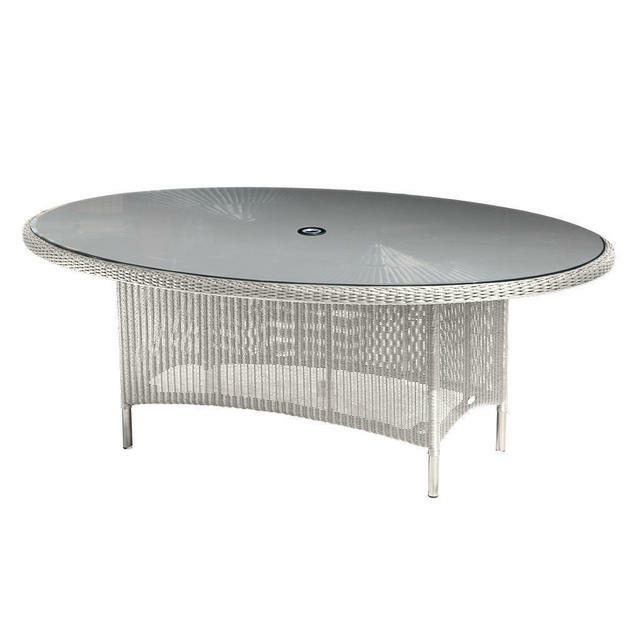 Valencia all weather large oval outdoor dining tables. 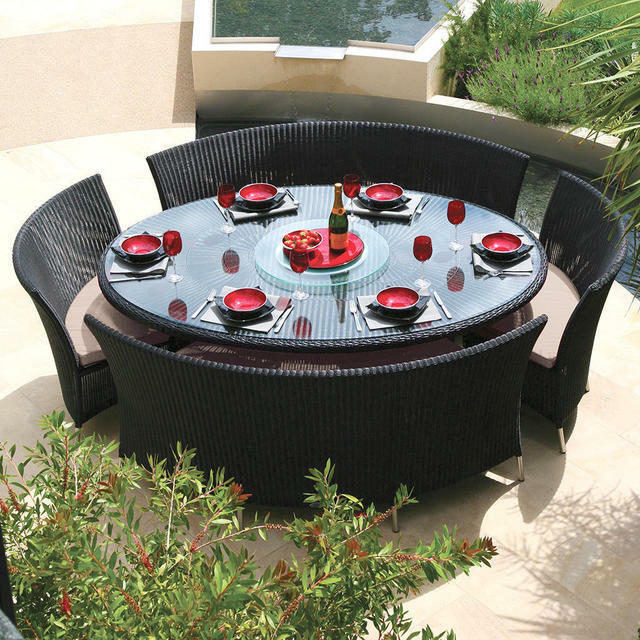 The table will seat 8 people. 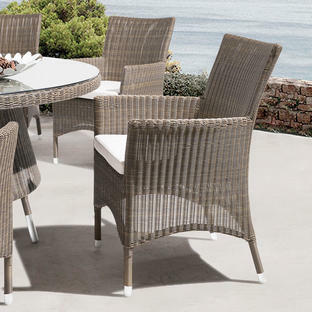 The Valencia collection also works well with Grace outdoor dining chairs, see here, where the teak adds a complementary highlight detail. 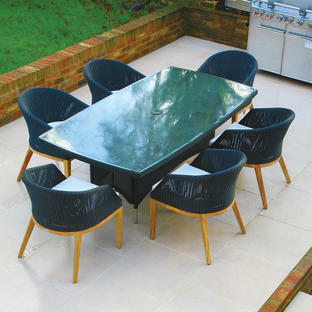 The curved Valencia benches, see here will also sit elegantly round the oval tables. 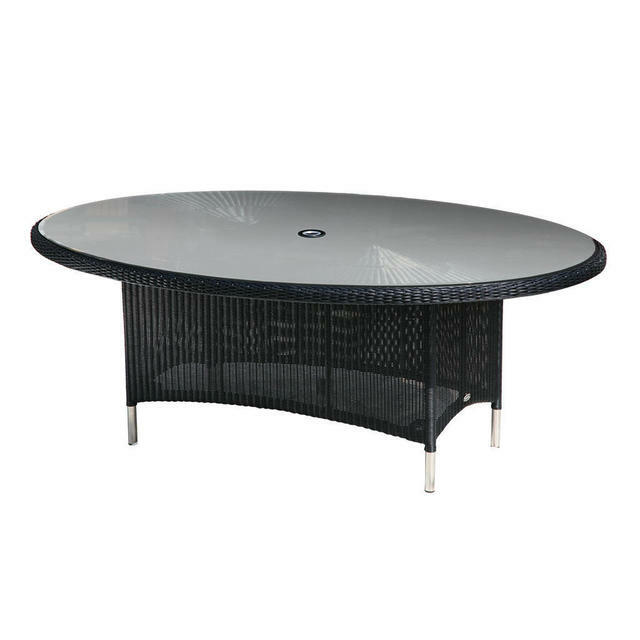 Also available are large rectangular tables and square tables.